BURLINGTON, Vermont — As Automobile’s social media editor, I listen to what our audience has to say about our stories. 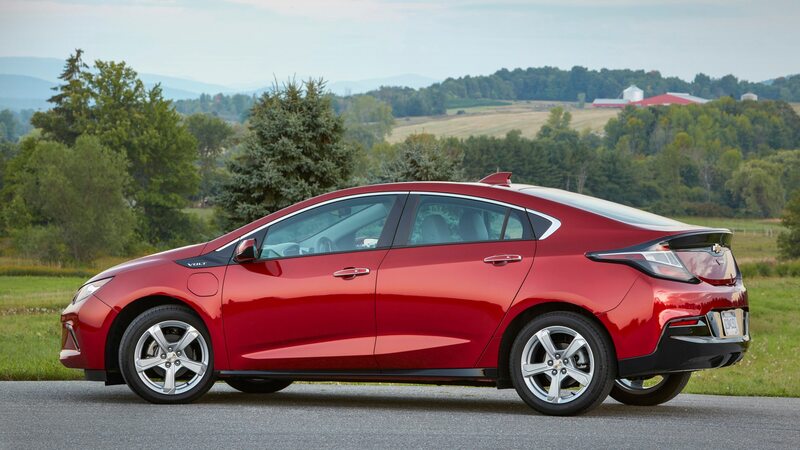 Sometimes, folks seem to knock some of the more mundane electric cars for not being the best fit for our #noboringcars mantra. 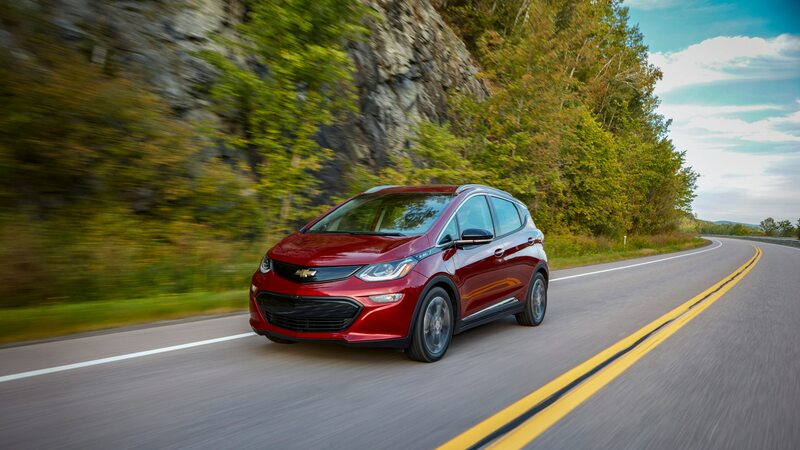 Most of our editors agree, however, that electric cars are intrinsically fun to drive thanks to the instant and plentiful torque. 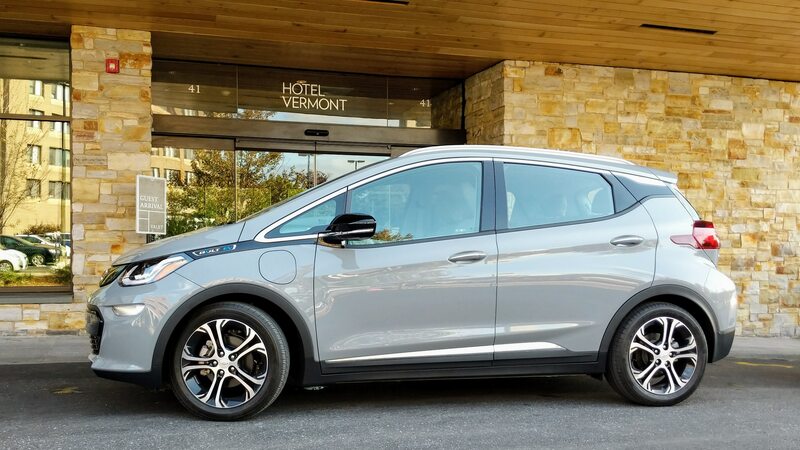 With this in mind, I joined Chevrolet in Vermont to drive the updated 2019 Bolt EV and Volt and to see if where the Bow Tie’s electric offerings lie on the spectrum of boring to All-Star. 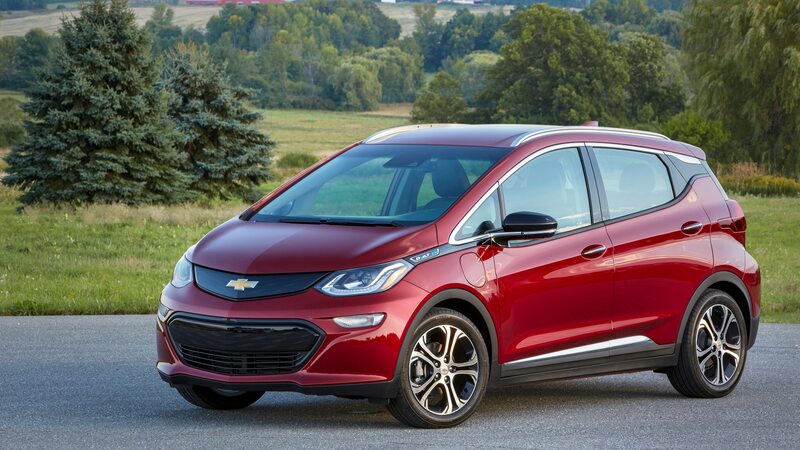 I started my test by securing the keys to a Bolt EV wearing sporty Slate Gray Metallic paint. The color is reminiscent of Audi’s Nardo Gray color and not quite metallic. 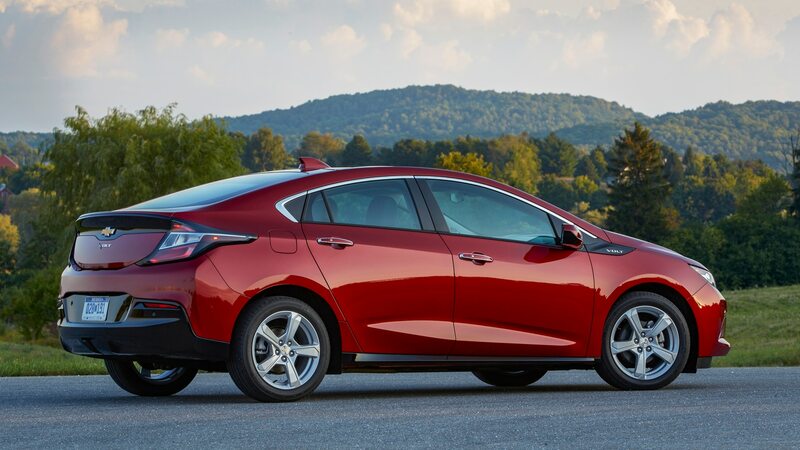 It’s one of three new colors joining the palette for the 2019 model year. There’s also the vibrant Shock Yellow and a more subdued Green Mist added to the mix. I set out from my hotel near the coast of the Burlington Bay for The Alchemist brewery in the neighboring town of Stowe. The roads on my journey featured a mixture of curving stretches of highway and winding country roads. My tester handled the route with hot hatch-baiting poise. 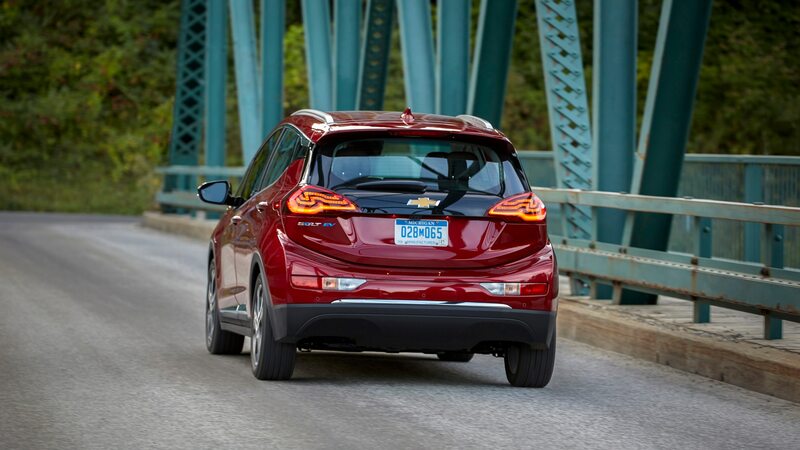 The Bolt EV leaps off the line and torches its front tires if the operator isn’t wary of the substantial 266 lb-ft of torque available from a standstill. The motor’s 200-hp output was good for competent passing on the highway which came in handy on repeated occasions on the region’s plentiful two-lane roads. I made ample use of the regen paddle on the steering wheel during the drive. This, combined with the Chevy’s “Low” mode, indicated by an L on the gearshift, resulted in minimal falloff of range. 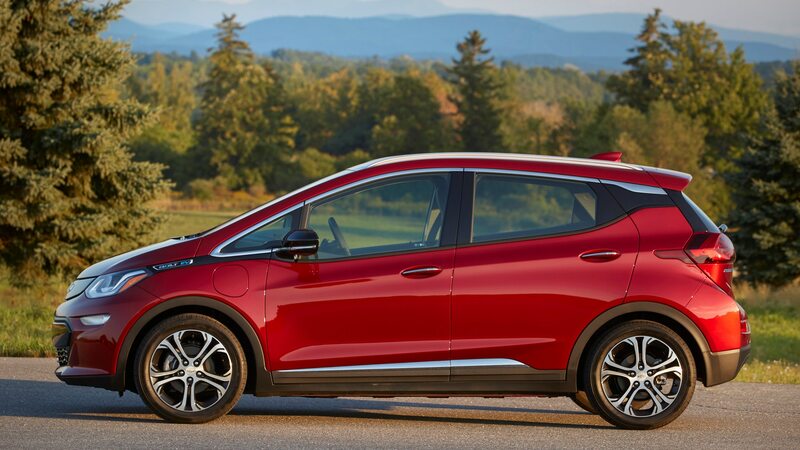 I was impressed with the Bolt EV’s ability to tour the region while offering a comfortable and engaging driving experience. I didn’t even worry about getting stranded while roaming thanks to the 238 miles of range. 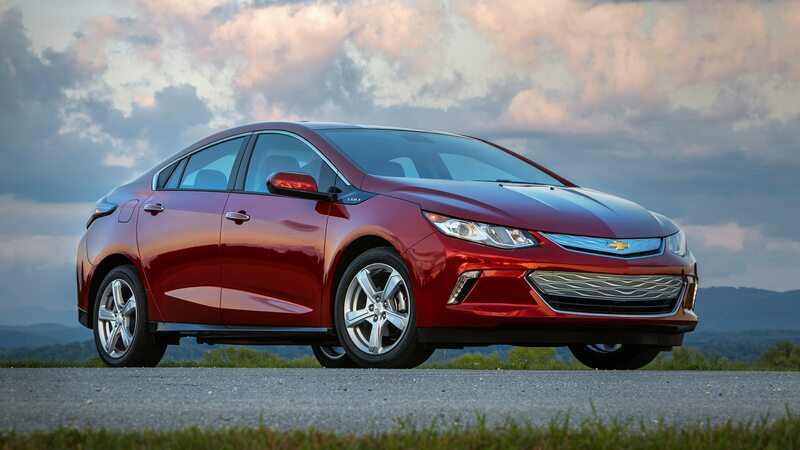 The following day, the Volt left me less impressed as far as its performance is concerned. 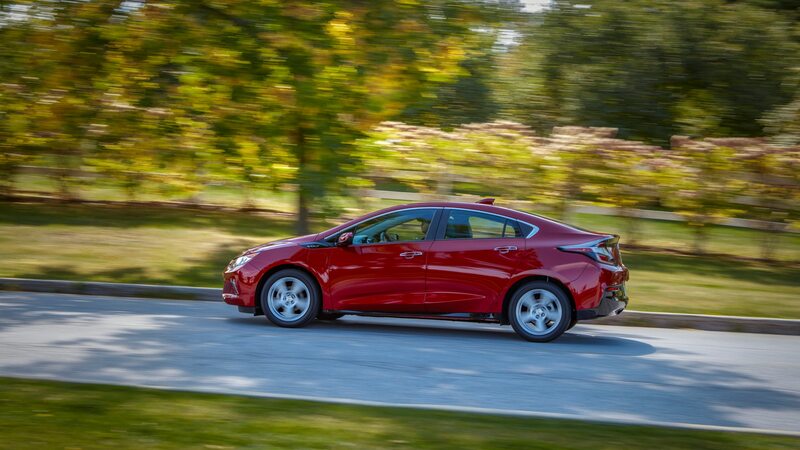 With a stated 0-60 mph time of 8.5 seconds, the Volt slouched forward with less enthusiasm than its all-electric stablemate. I expected a bit more from a car with a cited 294 lb-ft of torque. As much as I wished it was, however, life is not an autocross, and there’s more than enough oomph to go around for daily driving. 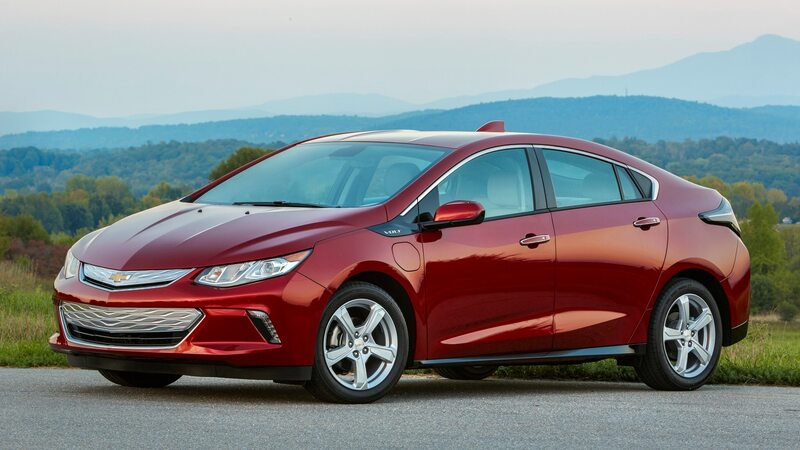 When I drove a current-generation but pre-facelifted Volt loaner home from our office back in El Segundo, I thought the steering was too light and offered little feedback. On my most recent drive, it appeared Chevy had since recaliberated this facet. 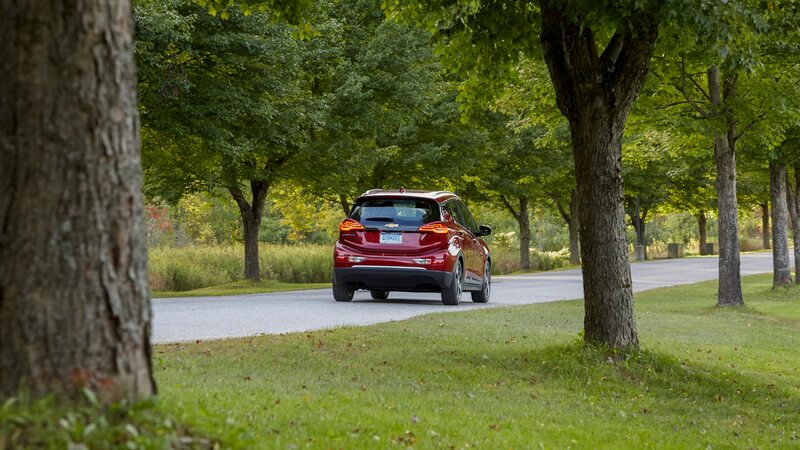 Winding through the Burlington hills, I felt confident in fairly aggressive driving, leaving me to remain wary of the limitations of the low rolling resistance tires. The bottom line? 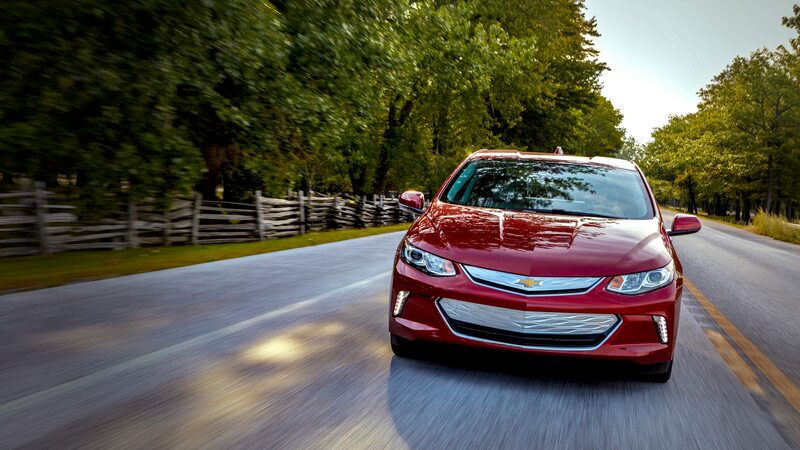 The Volt is not a total bore and offers some excitement when asked. 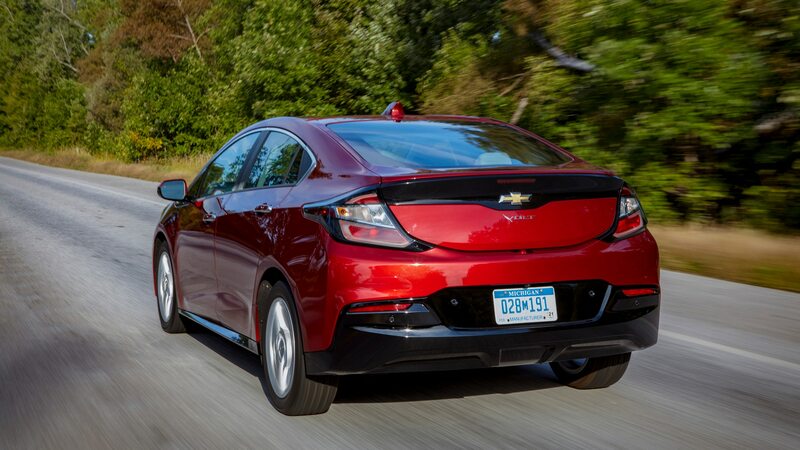 The Volt’s energy management systems were worked over with this latest iteration, and Chevy managed to drop its recharge time by half via a new 7.2 kW charging system. The “Low” driving profile was also refined to require the driver to use the brake pedal less. The 53 miles of all-electric range blew by as I evaluated the driving dynamics, and the updated “Impacts” information screen let me know over twenty miles of range were lost in the process. 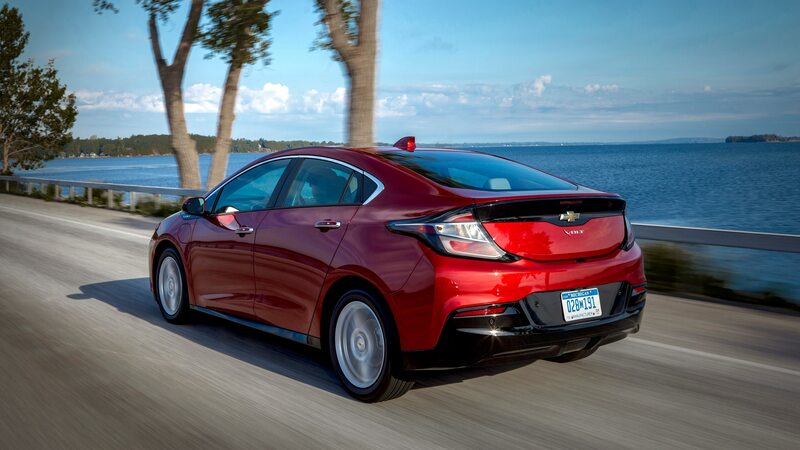 Fortunately, the total range is 420 miles thanks to the 1.5-liter gasoline extender. 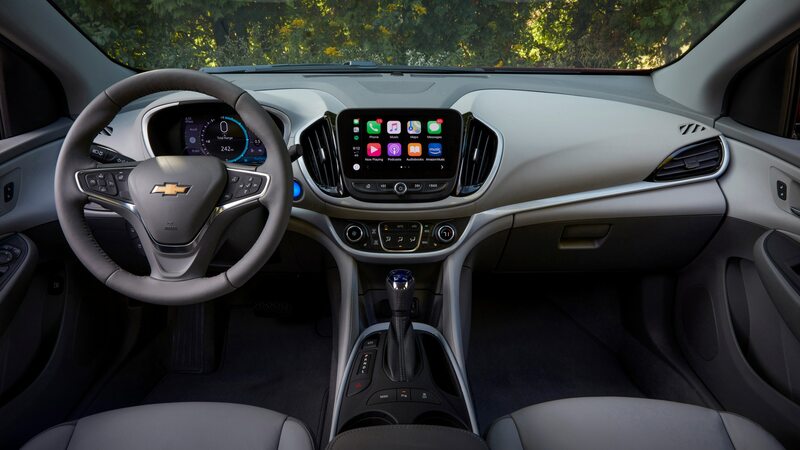 The Volt’s interior, although improved by the newly added Porcelain Blue trim, which is available on the Premier trim level, has some shortcomings. For example, spotted a mismatch between the materials on the doorsills and the dashboard. Although the plastics in the cabin are sculpted well, it’s hard to miss the misalignment of the line that runs from the door to the dash. Material quality, however, is quite high overall and the displays are easily legible and feature high quality graphics. Both updated cars are fine places to spend a commute, and the size of their respective greenhouses is quite generous. 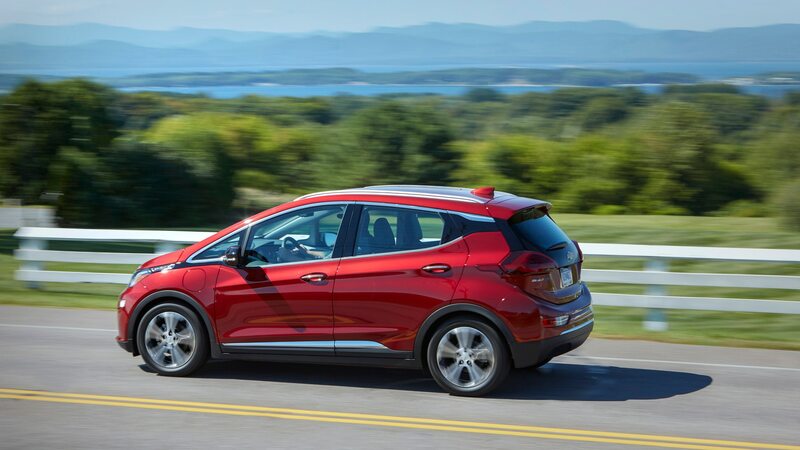 The Bolt, with its slim yet supportive seats, even impressed me as a back-seat passenger with its generous leg room. In both cars, noise, vibration, and harshness are also fairly subdued, even without the sound of a powertrain to drown out the sound from the road. 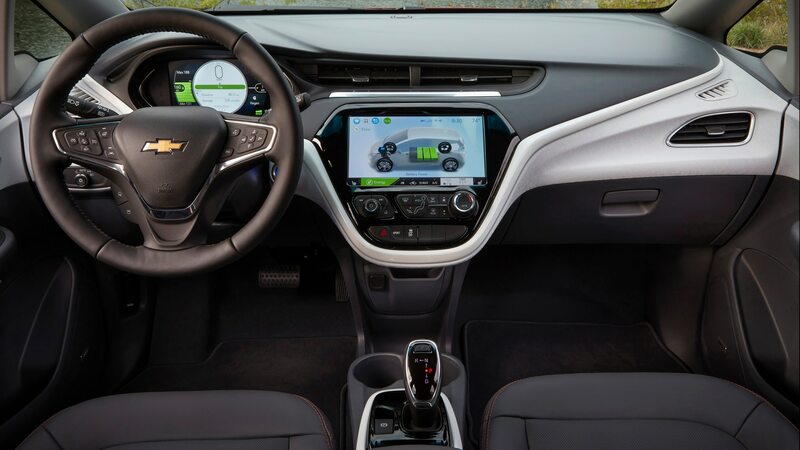 It’s only when the gas powerplant in the Volt kicks in that there’s a drone from the four-banger, which is coupled to a CVT, that enters the cabin. 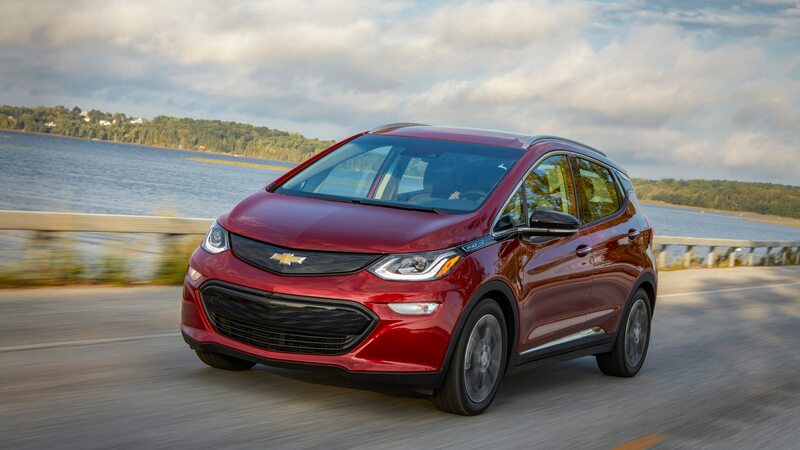 Both testers featured Android Auto and Apple CarPlay, and although the Bolt EV features a bigger 10.2-inch display, the Volt received an updated 8.0-inch unit. Both units coped with my swiping and tapping with no issue. There’s also standard 4G LTE Wi-Fi hotspots in both cars. Although both choices offer differing philosophies for how EVs can be executed, I found a favorite after my two days of driving. 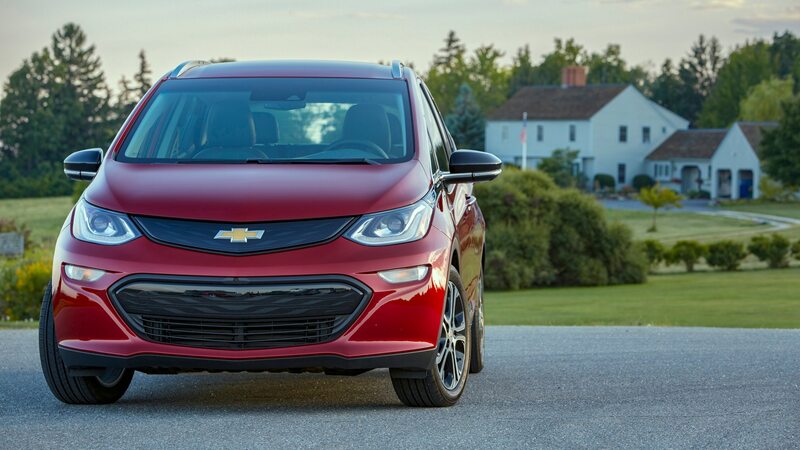 The Bolt EV’s purity of purpose as an all-electric car played a major role in helping the five-door feel like a more cohesive proposition than the Volt.